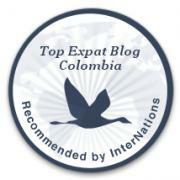 How to Bogotá - Helping new arrivals in Bogotá to settle in! Solo female travel in Latin America: my experiences and why you should go for it! 8 great markets in Bogotá – and where to find the best prices!